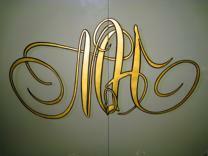 The new owner wanted Gary to design a monogram for him, also in Gold. 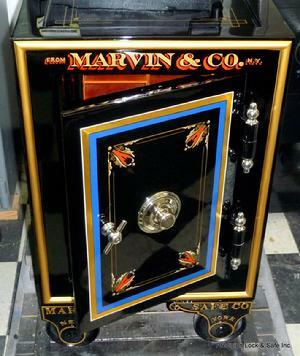 The antique safe (above) was restored & then brought to Gary's shop to be Silver leafed & Pinstriped. Gary explained that silver leaf tarnishes & that Platinum leaf looks almost the same but does not tarnish. clear coated yet! 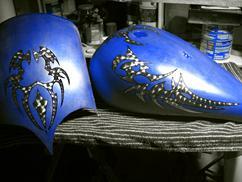 After clear coating the candy blue would get much deeper & richer. This leaf has a mixture of different metals, Gold, Copper, Aluminum Brass & Tin. The Ko-Motion Corvette is one of the most famous race cars & Corvettes of all time. Gary & Wendell LETTERED & GOLD LEAFED the car when it was new. 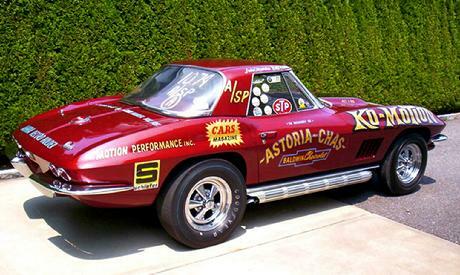 The Corvette broke the national drag race records in it's class in the late 1960's. 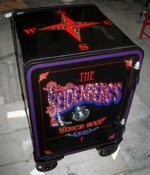 These pictures were taken at the Muscle Car & Corvette Nationals in 2010. The car & GOLD LEAF LETTERING still looks great. It's all original & has never been refurbished. 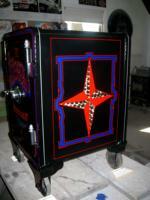 23K Gold Leaf is a staple in many fire deptartments throughout the United States. 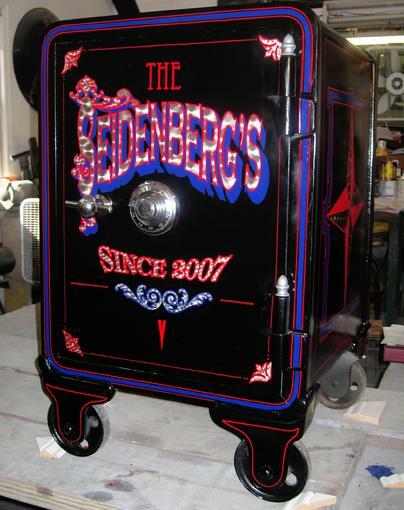 It's been used on fire trucks since the turn of the century. Gary GOLD LEAFED the Elmont F.D. Chief's truck. 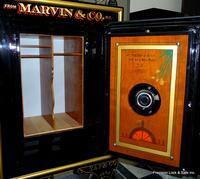 This antique, Marvin Safe was restored by Precision Lock & Safe Inc., of Floral Park, N.Y. 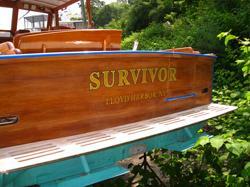 They rebuilt the entire inside construction & refinished the wood then painted it & of course rebuilt the locking system. 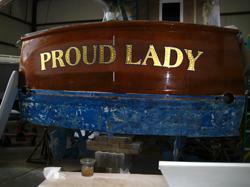 Then brought it to Gary for the hand painted lettering, pinstriping & gold leaf.